ASV Rubber Tracks for Sale. New tracks shipping today. ConEquip offers a variety of replacement rubber tracks for your ASV machines. 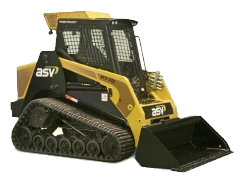 Our ASV Rubber Tracks can ship within 24 hours and are certain to meet your needs. We have ASV track specialists on hand to ensure a perfect fit for your replacement tracks.